Last week I introduced the idea of website “comparables” and the various budget levels that I (and many web professionals) use to judge a website’s budget. So, in this post I cover the huge range of $200 websites to $25,000 websites. In all honesty, there is a tremendous amount of variability in the quality and functionality you can get with all budgets. A lot will depend on how well you can specify your requirements, how quickly and efficiently you work with your design/development team, and how good a deal you can get! A note about outsourcing: Most web developers and designers I know outsource at least some of their work to offshore teams. This can be a real money-saver for you! Just be sure the folks you work with are honest about it. Both of these sites look great. 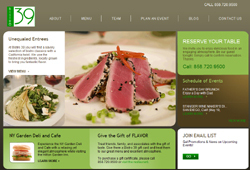 The clients probably gave the web design teams the imagery required to make the sites look so good, or spent a significant amount of time finding the right stock images, but the basic architecture and functionality of each is quite simple. Offshore design, possibly based on templates. “Flat” HTML or PHP pages, or very simple WordPress integration. Simple forms that send email. 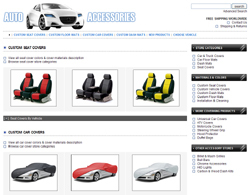 Seat Covers – This site looks like it is built with osCommerce and probably utlizes a pre-built template – an effective way to get a decent ecommerce site. I would imagine it was built by an outsourced team in India (or similar). 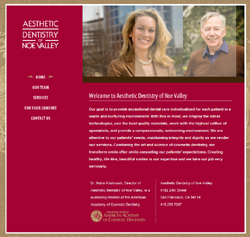 Dental website – You can see that the design quality has jumped up a level and that they integrated a 3rd party service provider, DemandForce, which handles scheduling and some marketing. Looks like an effective marketing tool. Templated design for ecommerce, high quality design for marketing site. Flat HTML, PHP or simple WordPress integration. Basic 3rd party service integration. 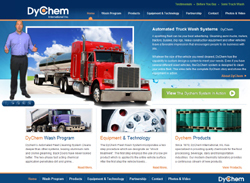 DryChem’s site doesn’t look fancy, but it is run on a nice CMS and has lots of very smart sales and marketing features that pull in traffic and keep the site engaging. 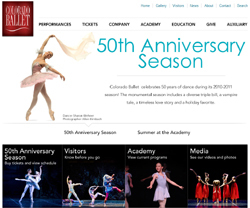 The Colorado Ballet’s site is lovely and looks like it is run with a CMS – that means updating it is probably a snap. It also has a surprisingly large amount of content. 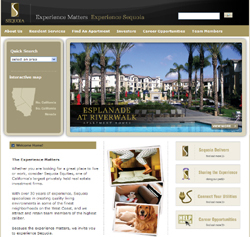 Online and on-page market services. Simple 3rd party service integration. 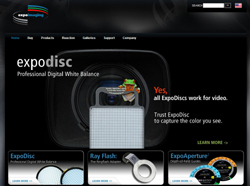 ExpoImaging: great-looking, fast, smart, good ecommerce, customer galleries, testimonials – lots of content and functional. A solid, deep website. Experience Sequoia: These guys needed to stand out, and look fantastic. They provide a relatively high-end service, so their site obviously needs to look great and work very well, or their busy, professional market will quickly lose patience. Lots of useful features inside. As you can see, for $10,000-$25,000, you can get a really great website, and for even less, you can still look like a pro. My next post will cover the higher-end websites in the $25,000-$200,000 and above categories. $200 or $200,000? How Much Does A Website Cost? Position Filled – Career Opening: Director, Business Development/ Publications at Burrill & Co.
Amaze friends & colleagues with your knowledge of all things SEO, SEM, CMS and BRB. Well, we hope to not bore you. And we'll only email when we have something worthwhile to say. © Workbox, Inc. All rights reserved.